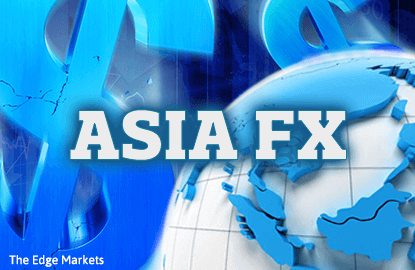 BENGALURU (March 10): Asian currencies wobbled on Friday, as investors awaited U.S job data later in the session which could set the tone for a rate hike next week and more this year. The South Korean won rose slightly after a Constitutional Court upheld a parliamentary impeachment vote and removed President Park Geun-hye from office. Economists said the move, which paves the way for elections within 60 days, would provide some clarity on leadership in the country. The Indian rupee also edged up, after exit polls predicted a win for Prime Minister Narendra Modi's party in Uttar Pradesh, the country's most populous state. However, non-deliverable forwards slightly weakened, suggesting the market senses a risk that Saturday's results may diverge from the exit polls. The Taiwan dollar and the Indonesian rupiah fell on the back of weakness in their domestic markets and foreign outflows. "Everyone is waiting for non-farm payrolls, trying to keep risk on the low side", said Andy Ji, a currency strategist at Commonwealth Bank of Australia. Analysts polled by Reuters forecast that U.S. employers likely added 190,000 workers last month, fewer than January's 227,000, while average hourly earnings likely grew 0.3%, following a 0.3% fall in January. The Thai baht was down 0.1% to 35.366 per dollar, the lowest since Jan 20. The baht is set for its worst weekly fall in about four months of nearly 1%. Foreigners have been net sellers of Thai equities recently. They have sold more than US$250 million so far this month, adding to US$100 million sales in February. Also, rising U.S Treasury yields have closed up the gap with Thai bonds' yields, spurring more selling in Thai bonds. Thailand's 10-year government bond yields of 2.84% are just about 23 basis points higher than the U.S 10-year Treasury bonds.